There are several great choices for authentic Mexican food in Portland, but my favorite of favorites is Taqueria Los Alambres. The owners are from Mexico City, and it shows in their food. 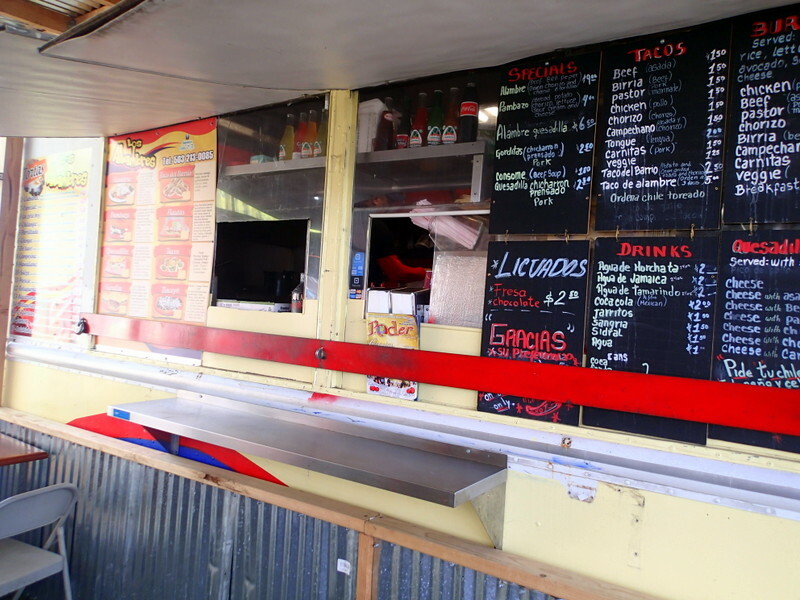 Just off 82nd avenue, this taco truck has a nice covered seating area, so it’s perfect for visiting during any type of weather. 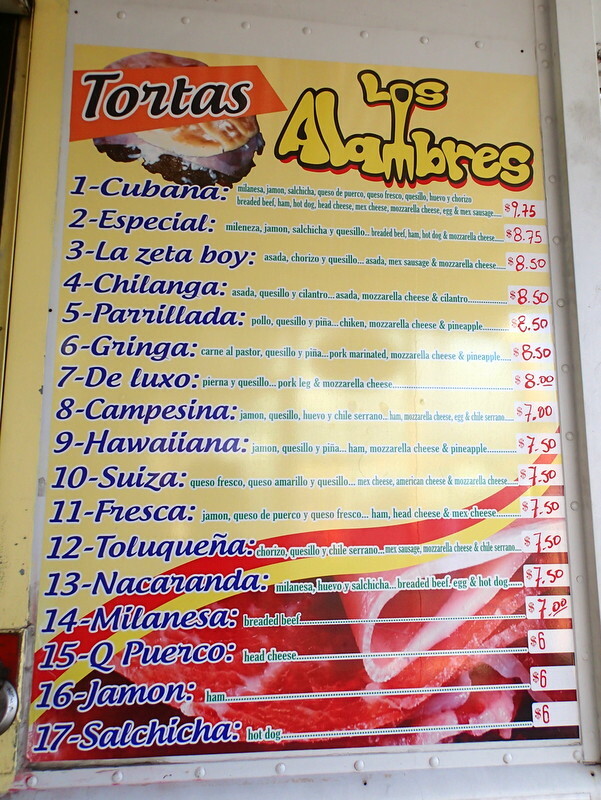 Los Alambres has one of the biggest menus I’ve seen at a taco truck, and everything they do, they do very well. They have over 15 different types of tortas to choose from. I like the gringa, made with pastor, pineapple, and mozzarella cheese. 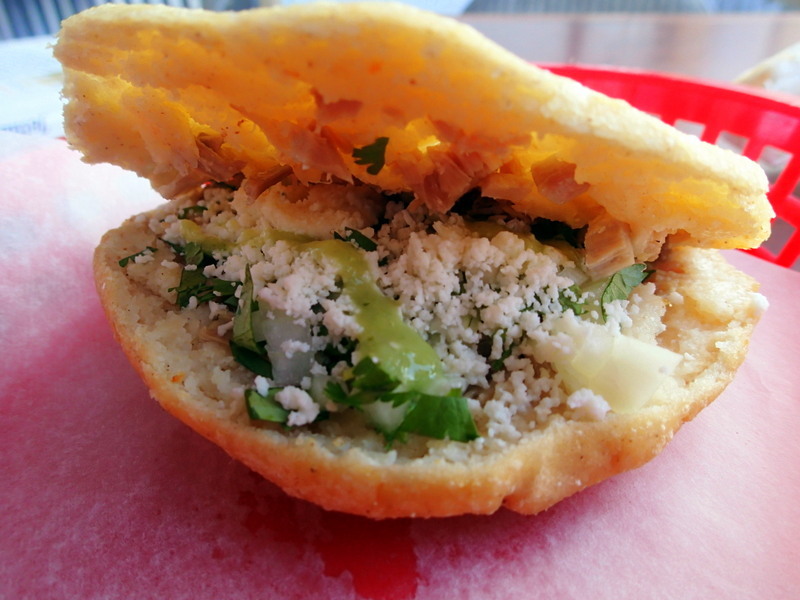 Wednesday is $5 torta day, and all tortas are only $5! 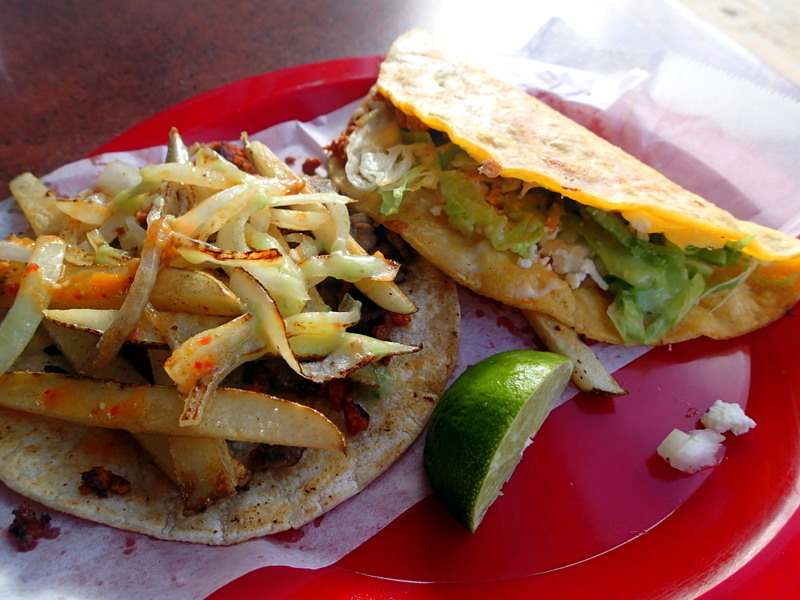 Get the Taco del Barrio’s which come with asada, chorizo, and fried onions and potatoes on top, and don’t miss their gorditas which will take you straight to the streets of Mexico. If you go with someone else, you must have The Alambre! 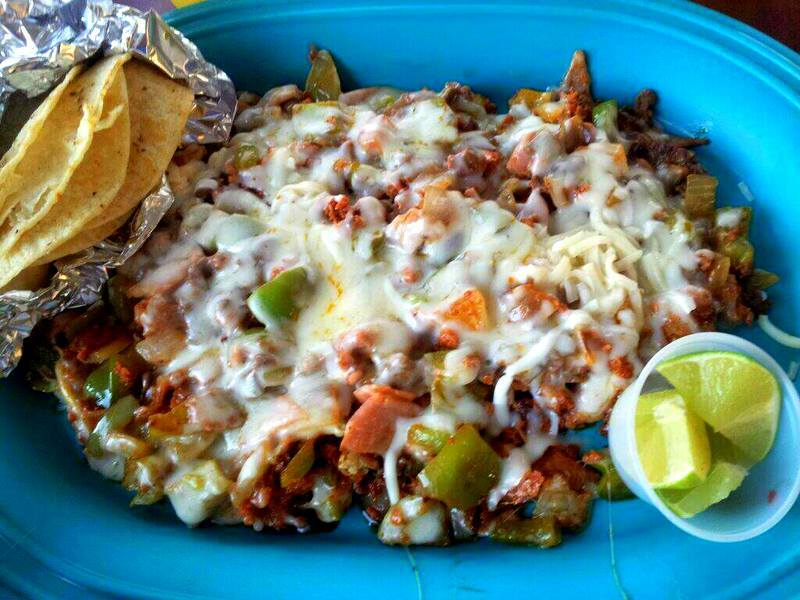 This specialty dish is a stir-fry of meats which includes asada, chorizo, bacon, and ham, bell peppers, and onions. As if that’s not enough, it is then covered with melted cheese. It’s served with tortillas, and is a huge portion. On Fridays, they sell the hard-to-find tacos de canasta filled with chicharron prensado or chorizo with beans and potatoes. They also make their own red and green salsas, so don’t miss those for the top. Los Alambres also makes their own Agua Jamiaca (hibiscus juice) and Horchata. They also serve flautas, burritoes, and fajitas, so you will have plenty of options to choose from. Even living in Mexico, I often get a craving for Los Alambres. If you are looking for Mexican food in Portland, don’t miss it. One Response to "Taqueria Los Alambres-Authentic Mexican Food In Portland, Oregon"